Why Choose Personal Injury Solicitors Manchester? Are you looking to claim back the compensation that is rightfully yours? If the answer to the above 2 questions is “YES” then you have come to the right place. We exist to serve YOU through your personal injury claim. We have helped numerous clients along the way and we understand that no claim is the same. We also understand that you might be feeling angry, upset, and other such feelings. We have come across them before with other clients and we say to you as we said to them that we are Here for YOU in any way, shape or form we can because this is a difficult time in your life which we fully appreciate. Personal Injury Solicitors Manchester work on a No-Win-No-Fee policy, which means that if we don’t win your case, you don’t pay us a fee for the work we have done. This type of policy is used by other solicitors, however there are solicitors who do charge a fee so you have to be aware and be careful about who you chose to legally represent you in your claim for compensation. If you have legal protection cover, you are entitled to choose your own legal representation in your quest for compensation and are not obliged to take on any solicitors that are referred to you by your insurance company. We advise you to seek a specialist in the area of your particular accident claim type in order to maximise the chances of getting the most compensation. Information on how to make a Personal Injury Claim for Compensation after a non fault accident. 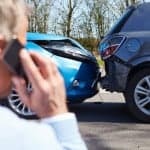 Information on Road Traffic Accident types and how to make a claim for compensation after a non fault road traffic related injury. Information on Whiplash Claims for Compensation such as types of whiplash sustained and potential amounts to be recovered. Information on Accident at Work types and how to make a compensation claim after a non fault accident at work related injury. Information on how to make an accident claim for compensation and the types of accident that can occur from which you can sustain and injury from. If you have suffered an injury that wasn’t your fault and want to get the compensation that you deserve, take action NOW and start your claim by filling out the form on the right or giving us a call on 0161 82 11 229. The process is very simple. When you call us or fill out the form (we will call you back), we use the information that you have provided us to place you in contact with one of our solicitors who is experienced with the type of claim you are looking to make. When all your questions have been answered and you want to go ahead and use us as your legal representatives, we will mail you all the necessary paperwork in order to start your compensation claim. Our solicitor then undertakes the task of getting in contact with the other party and begins proceedings from which your compensation is negotiated and then settled. Our solicitor will always fight for you in order to secure the most compensation they can for you as a start and they will also arrange any necessary after care treatments and support that may or may not be needed depending on your injury. So really all you have to do is focus on you and a speedy recovery. > How much is my claim worth? – Compensation claims calculator letting you know the amount you can expect us to recover depending on your injury type. > FAQ’s – Frequently Asked Questions that people ask and can be simply answered. > Start My Claim Now – Start Your Claims form. > No Win No Fee – Information on what the No-Win-No-Fee policy (or CFA) is and how it works with your compensation case. Just as our name suggests our primary areas that we cover are Manchester and surrounding areas like Salford, Bury, Bolton, Stockport, Oldham, Rochdale, Stretford, Altrincham, Warrington, Macclesfield, Ashton-Under-Lyne, Wigan, St. Helens, Liverpool, Preston and other such areas in the North West of the UK. We are however not limited to just this area as we have had clients from other areas of the UK. So, if you live in the UK and have been a victim of a non-fault accident, start your claim for the compensation you deserve with us by filling out the form provided or by calling us on 0161 82 11 229. We appreciate you are putting your trust in us and will work very hard to earn it. It’s easy! Once we’ve reviewed the circumstances of your accident and advised you that you have a claim, you can become a client simply by signing our client care papers and terms and conditions you become a client with fully regulated and compliant Conditional Fee Agreement (CFA), also known as a “No win-No fee” Agreement. We’ll come to you! If you live anywhere in the Greater Manchester Area we are happy to pay a visit to your home, walk you through all of our paperwork and answer any queries you may have. You can become a client via “E-sign”. If you have access to a computer and have an email address we can email you documents and then call you to talk you through them. You can then sign the documents on your computer and send them back to us. Come to our offices. We’re based in the heart of Manchester City Centre. You can meet our staff and we will explain No win-no fee Agreements and the personal injury claims process over a cuppa! Whichever way you decide you want to become a client, we will ensure the process of becoming one is as simple and stress free as possible where we answer any queries and use plain language to explain things in a calm and friendly manner. Come and speak direct to legally qualified experts with a proven track record in personal injury claims, not a claims company middle man. By contacting Personal Injury Solicitors Manchester on 0161 82 11 229, you are coming straight through to the law firm and the solicitors!